As always, they've included a comprehensive product list along with an ingredients card. There are even pictures of the products, which is really helpful. There were technically eight different products in this box; however, three of them were sachet sample products. There were a few deluxe sample products in here that I have received before, but I can't remember trying them, to be honest. I received two samples from Avene - a tolerance extreme cream and a tolerance extreme cleansing lotion. There was also a deluxe sample size of the Nutraplus Barrier Hand Cream, which will be great for the cold weather. The sample size products were the Neuma Neumoisture Shampoo, Conditioner and Intensive Masque. 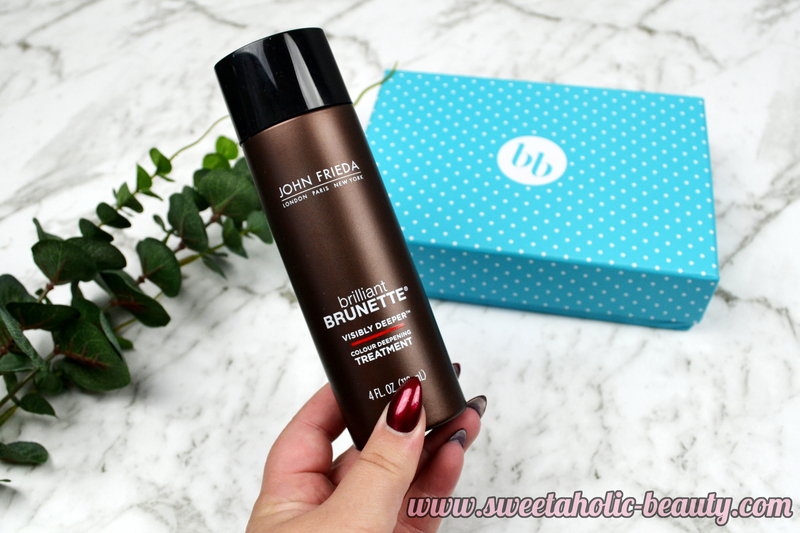 My hero product from this month's box would definitely have to be the John Frieda Brilliant Brunette Colour Deepening Treatment. This is not only a fantastic size but it's also perfectly suited to my hair needs. I've used this once or twice and have so far loved it; I haven't noticed any huge difference to my colour but my hair is loving it nonetheless. This month is probably not as exciting as last months, but still a fantastic box! 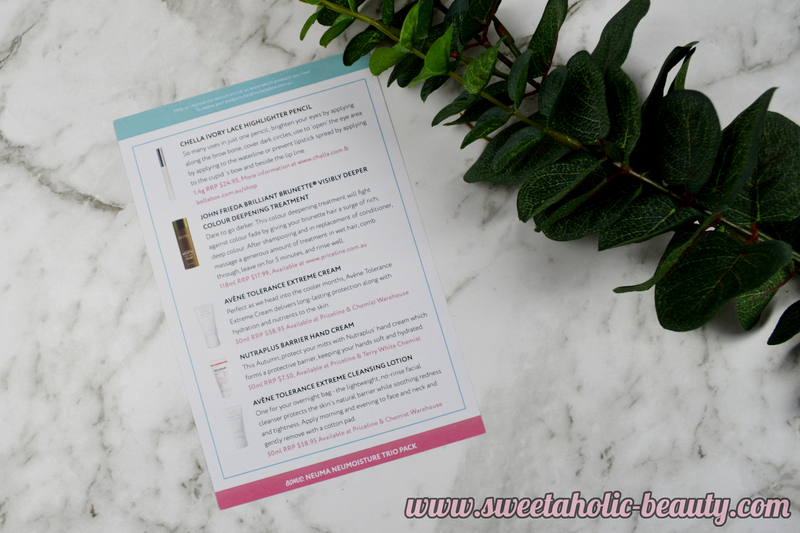 Have you received this month's Bellabox yet? If so, what are your thoughts? 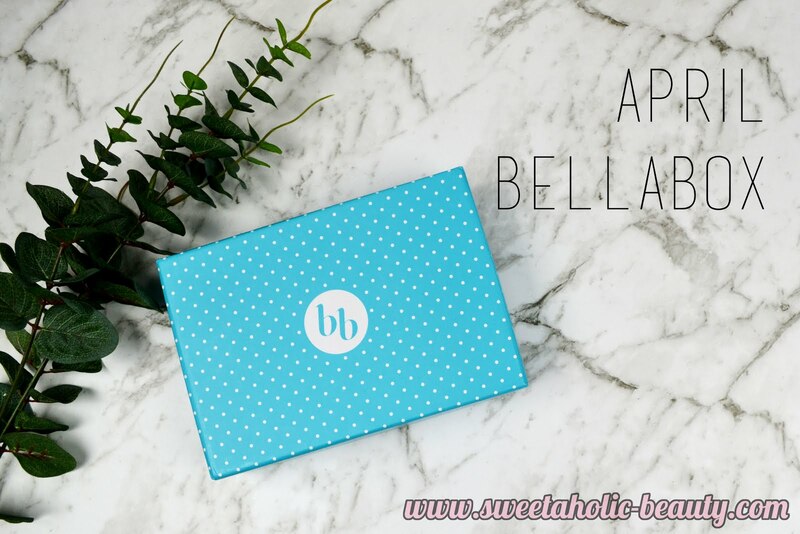 I have to say, it looks like Bella Box is getting better! When I was subscribed there were very few deluxe samples and it was always a little disappointing. This box actually looks fantastic though! 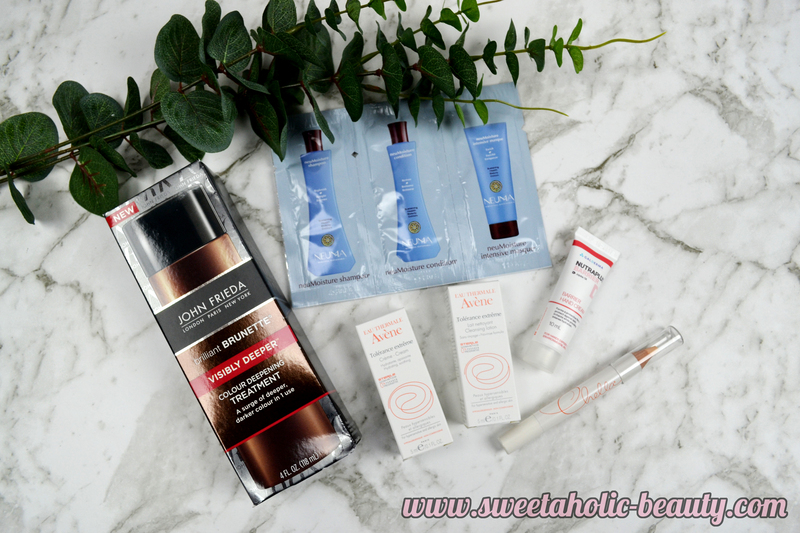 Avene is such a good brand! I love the John Frieda Blonde range so much! Oh Avene! 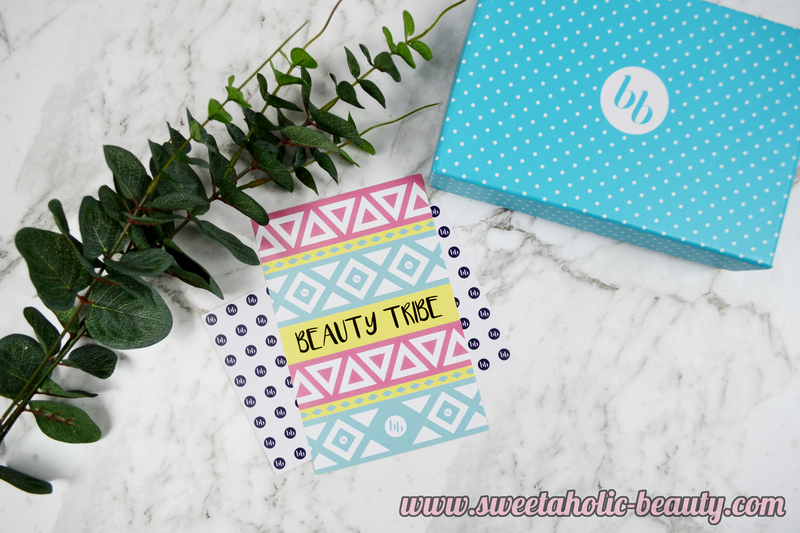 I love when it comes to stuff like this and you end up with a heap of products you already use!